I know I have a lot of favorite third cousins down South, but Sandy is at the top of the list with my third cousin Joe breathing down her neck. She discretely added some information on my Ancestry family tree. I know she must have told me about it, but I kind of forgot since she is such a discrete person. 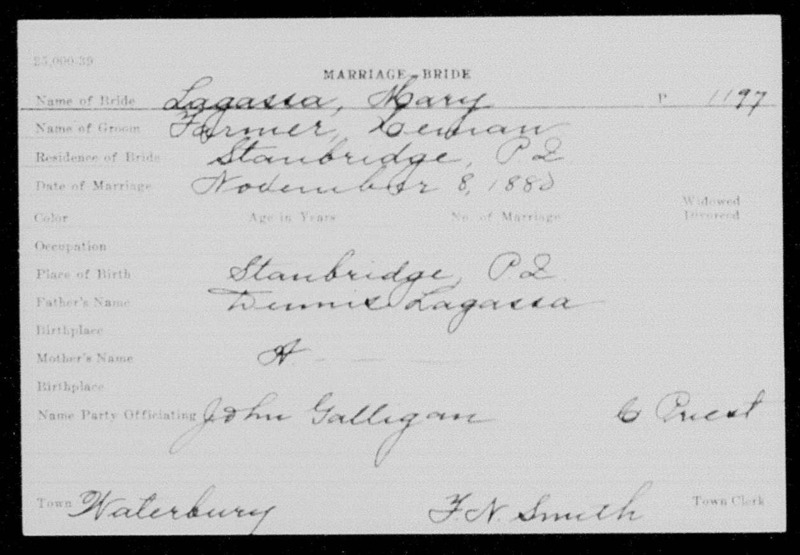 Marie-Anne Lagassa (Lagasse) married Herman Farmer on November 8 1880 in Waterbury, Vermont. 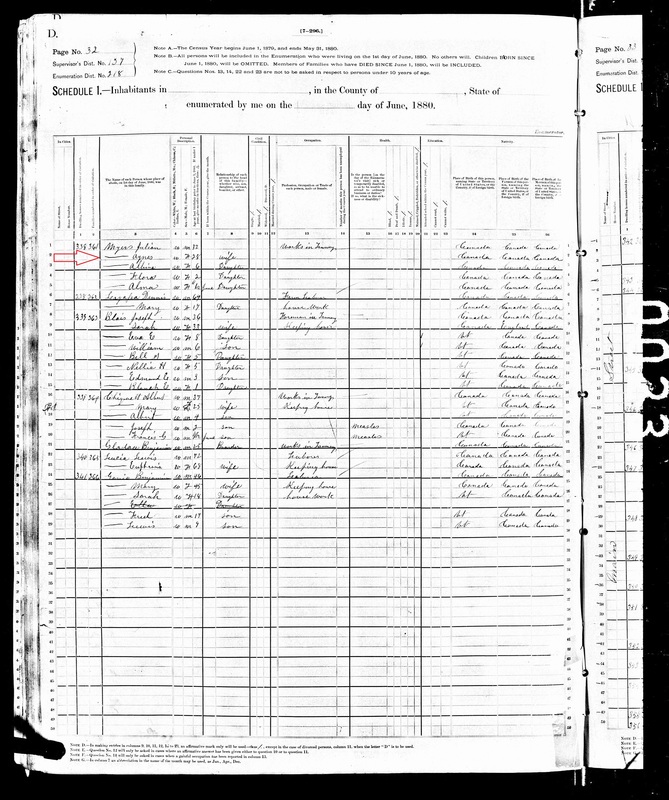 Marie-Anne was still living with Stanislas Lagacé 1816 when the 1880 U.S. Census was taken. 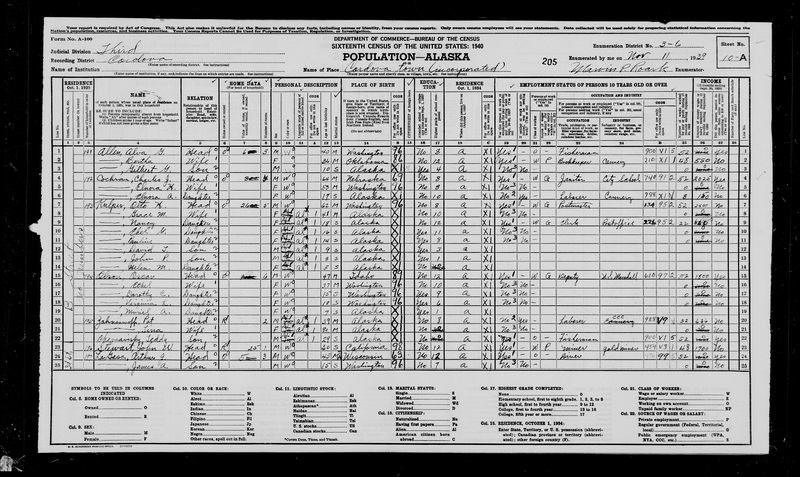 Censuses are so fascinating because of all the information you can find. Like Agnes Lagasse, Stanislas 1816’s other daughter, who married Julian Myers. They are next-door neighbors and these two are next on the list for my next search! Maybe this fall… or when snow starts falling in Quebec. 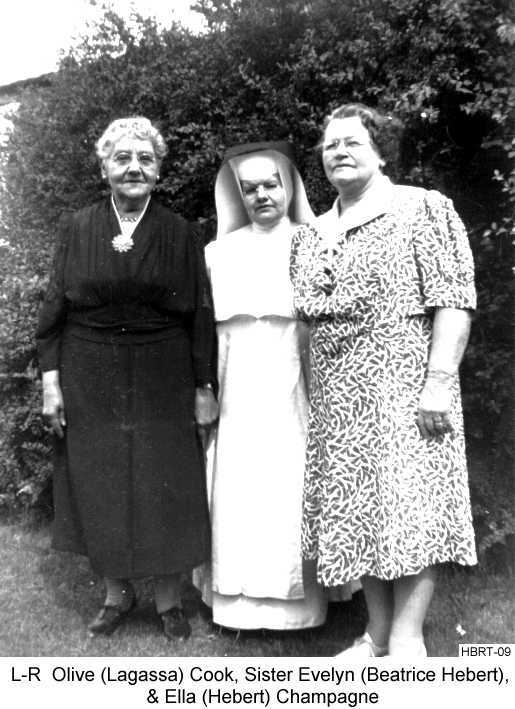 Why not go on a search for Marie-Anne’s descendants? Sandy sent me a message yesterday about Marie-Anne Lagasse. She had entered some information on my Ancestry tree. 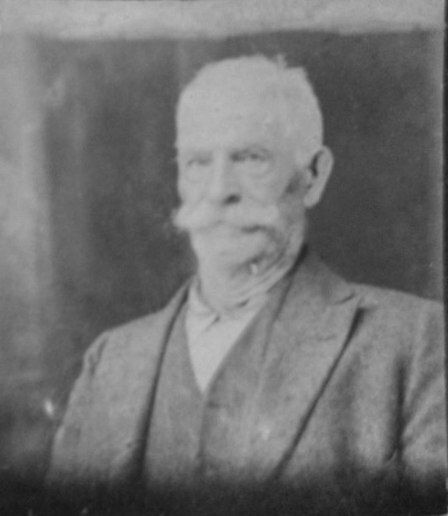 I have no picture of Marie-Anne nor of her father, my great-great-grandfather Stanislas Lagacé (1816) who bears the same given name as my great-grandfather Stanislas Lagacé who I call Stanislas 1842 since he also named one of his sons Stanislas who I call Stanislas 1864. 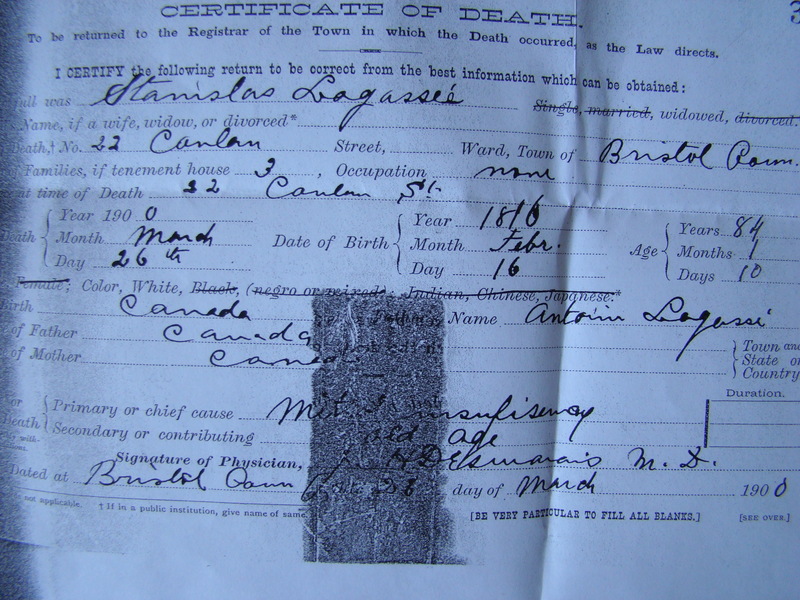 This is all I have of Stanislas 1816… his certificate of death and some census pages. No picture of the one-story log cabin, but the 1861 Census is showing that Stanislas Lagacé (1816-1900) was living in a log cabin with his little family. Why can’t I make you believe that my great-great-grandfather lived in this log cabin? 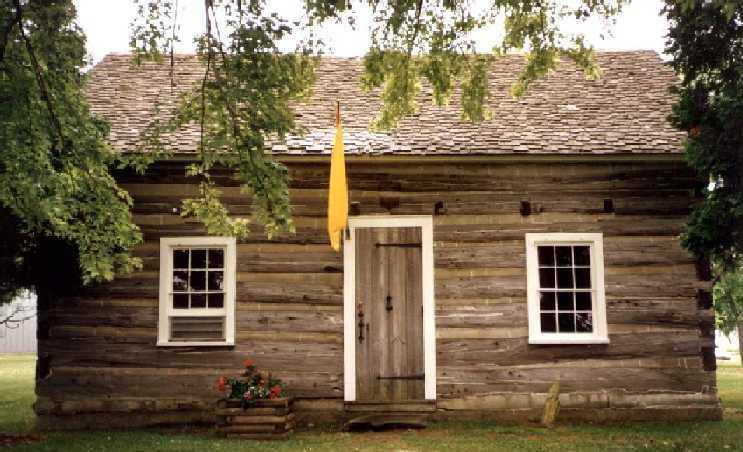 I can rewrite history like the Port Huron Museum did with Mitchell Lagassa’s log cabin. 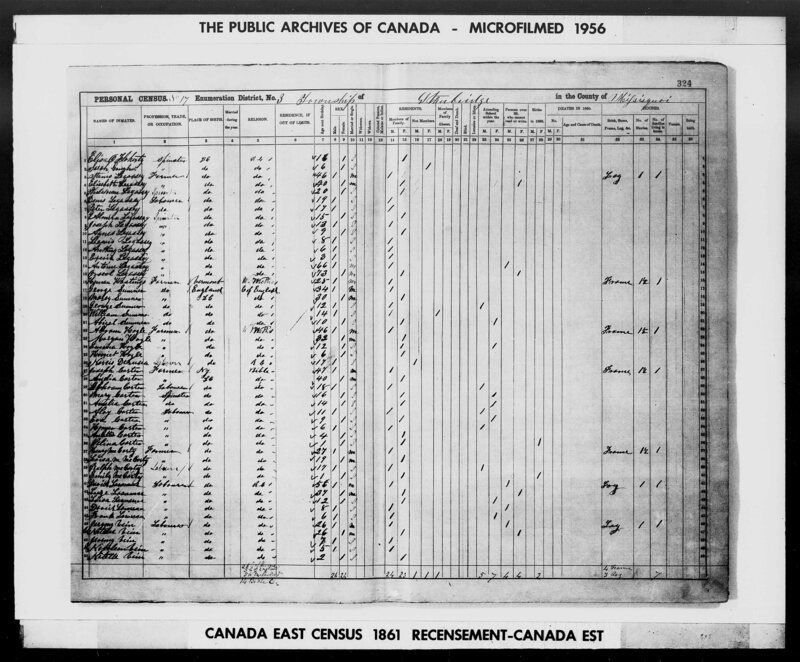 This is a page taken from the 1861 Canadian Census in Missiquoi County before Canada was even born (1867). This is a real document taken on this Website. It’s the first time it is available on the Internet. 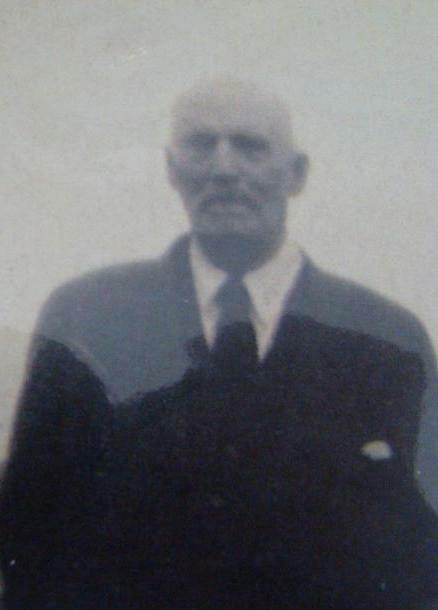 Stanislas Lagacé, who was a farmer in Stanbridge, has his name entered as Stanis Lagassey. But I know this is my great-great-grandfather. He is 46 years old and he is living with his wife Onésime Cadieux whose given name is Elisebeth. I can’t figure that one out. I don’t think my great-great-grandfather had two wives. No that’s impossible because I would have found it! Anyway the Lagassey family is all there in 1861. Peter, 17, who married Mathilde Leblanc. She died from cholera in 1884. Joseph, 13, who is Joseph Miller Lagasse. He married Edwina Newcity… and he died when he was 99 years-old. Only one chill is missing. Marie-Anne born on December 15, 1862. I never talked that much about her. Maybe I should and help someone get reunited with his ancestors. A little publicity can’t hurt. 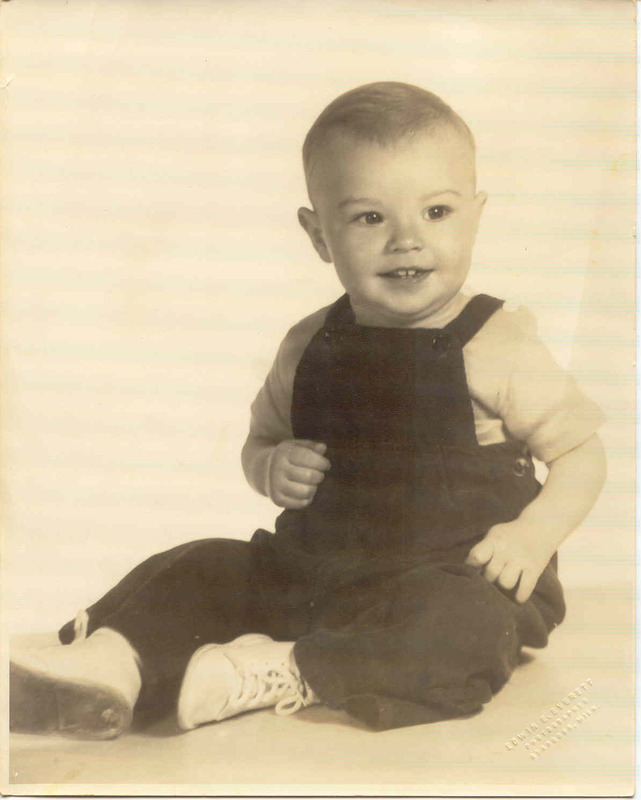 Dan Hebert, whose a distant cousin, has a Website dedicated to his ancestors. Dan does not sell anything. He only shares ancestors and pictures like I do. He seems to be have seen sharing since 1999. Dan Hebert has these Lagassas with pictures! I can’t tell you how impressive Dan’s research is and how helpful he was putting some pieces of the LaGasa’s puzzle together. 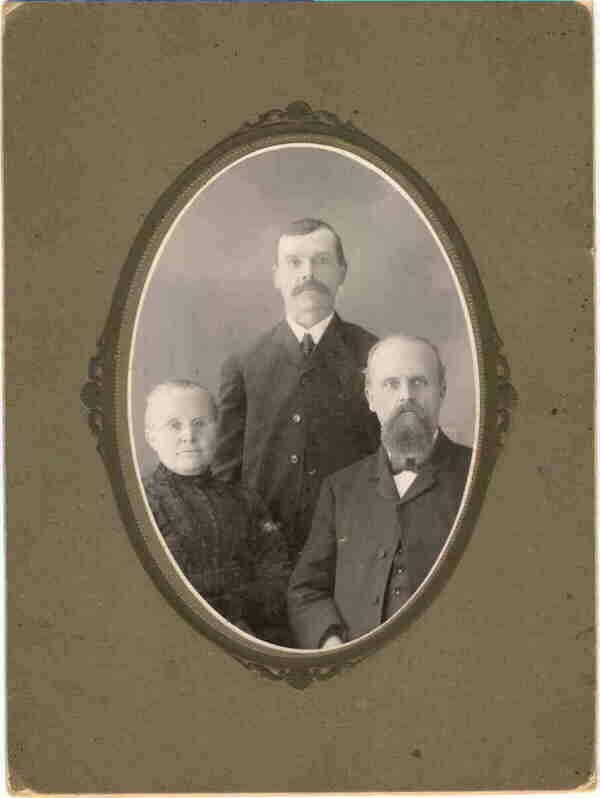 Michael was born in May of 1854 and on 2 Dec 1878 he married Margaret Chauvin. In a small book titled the History of Grindstone City, the author wrote that when Michael and Margaret were married, he and his father and other family members built a log cabin as a wedding gift. 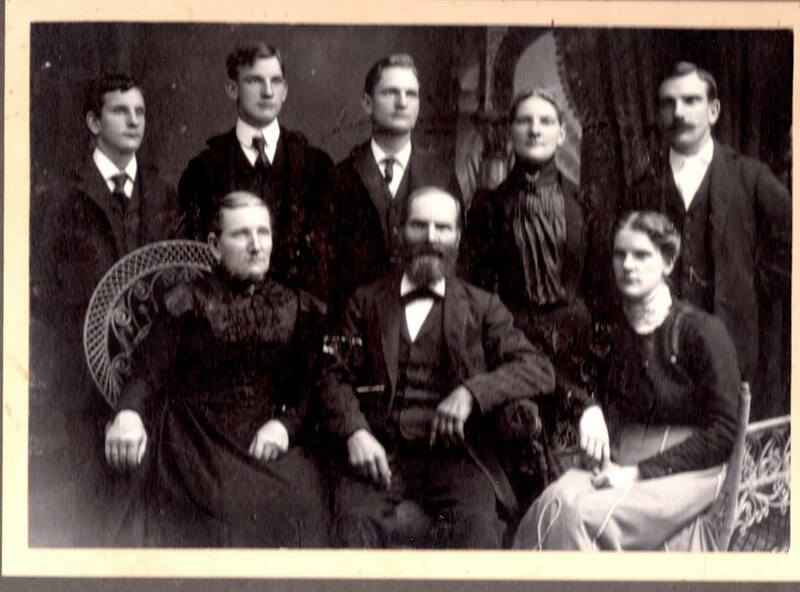 Between 1879 and 1888 Michael & Margaret had four children. 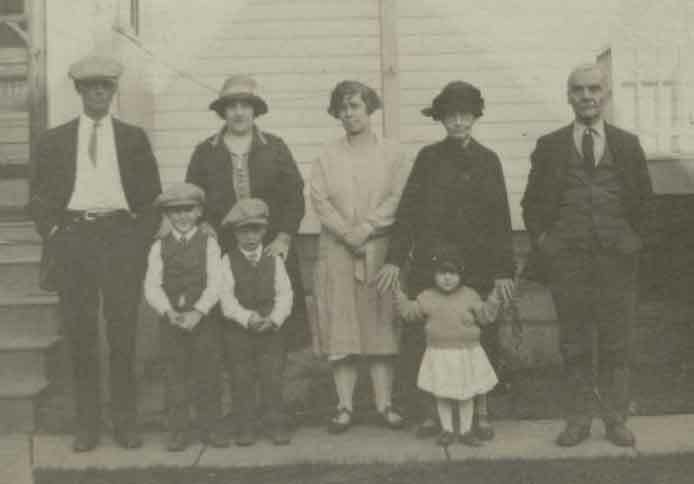 In the great fire of 1880 many homes in Huron county were destroyed by the forest fire Michael and Margaret’s cabin survived and several of the Lagassa family members lived with Michael and Margaret while they rebuilt. I have noticed that many documents interchange the name Michael’s with Mitchell’s , so you really need to understand the context the name is used. Mitchell Lagassa is the one who built the cabin. Mitchell Lagassa is the one who built the cabin. But whose Mitchell are we talking about? Things can get pretty complicated when several people give at birth the same given name to a child or a grandchild. 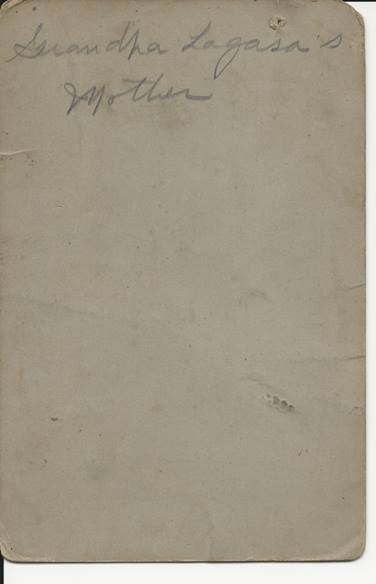 Mitchell Lagassa (1854-1940) was the son of Michel Lagacé (1817-1905) and Delia Roch or Roche (1823-1905). 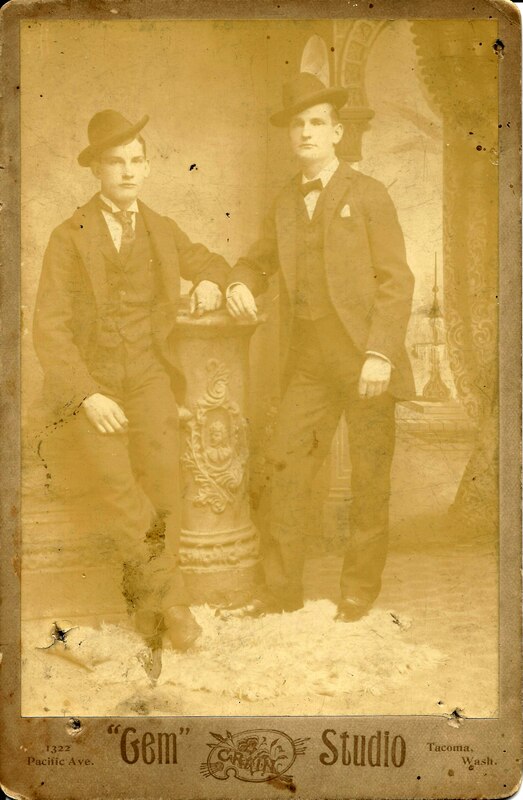 This is two of Delia’s grandsons: Mitchell (1877-1941) on the left and John Benjamin (1882-1951) on the right. Both are Joseph Lagassa’s sons seen here on this family picture that started all this frenzy. Joseph Lagassa (1841-1920) is Koeni LaGasa’s great-great-grandfather. Joseph is Mitchell Lagassa’s brother. This is the Mitchell who built the cabin house and not Michel Lagacé (1817-1905), Delia’s husband. In Huron City, Michigan there is a log cabin built by the Mitchell Lagassa Family. The museum claims that the cabin was built by Mitchell and Delia in 1837 when they first got married and raised their 17 children — This is not correct the cabin was built for Mitchell son Michael & Margaret 1878. 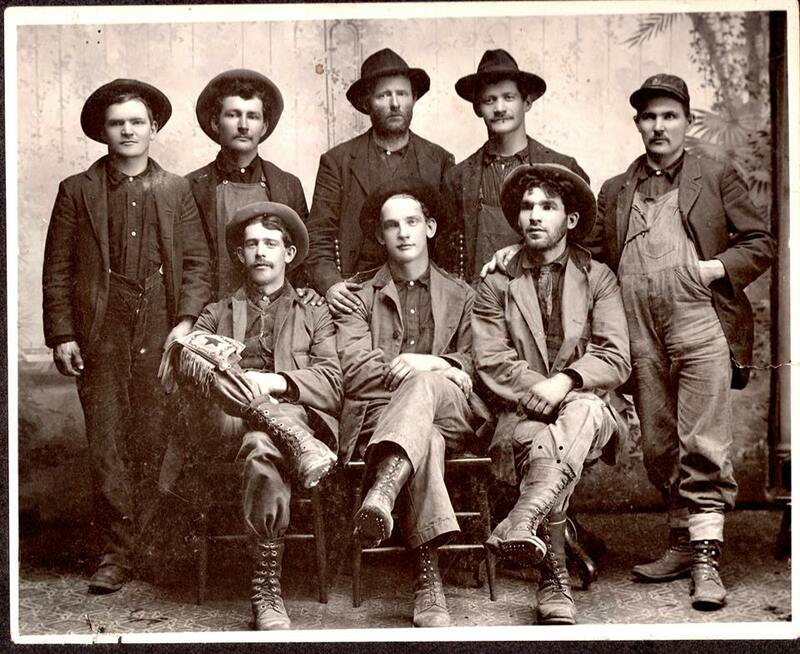 In 1880 a major wild fire burned out many families. Several of the Lagassa family members had to live with Michael and Margaret while they rebuilt their homes — I think this is where the 17 children count comes from.. In side the Log cabin are two pictures that claim to be Mitchell and Delia — So if you are ever in Huron City — Stop by and take a look. 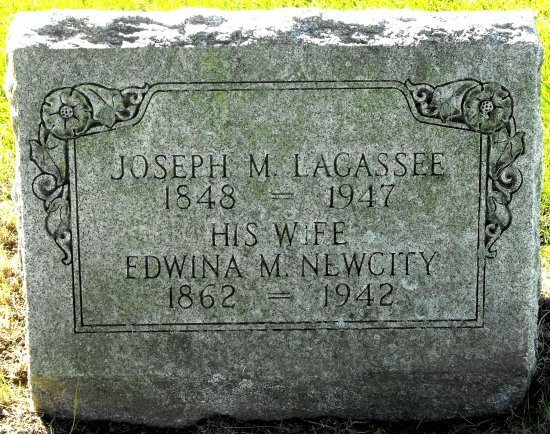 Since Mitchell Lagassa (1817-1905) aka Michel Lagacé and Delia were not married in 1837 but in 1840, and not living in Michigan, the people managing the museum are dead wrong. I wrote the museum organizer and explain why his information was incorrect, but he chose not to correct it.. his version sounds better I guess. Writing the museum organizer again about all the research done on these peop;e would be a waist of my time. Writing my blog is much more constructing. Very interesting story Pierre, I can see where this cabin had an upstairs in it, you can tell by the black squares on the outside wall that show just above the door and windows. Dan Hebert posted this log cabin picture on Facebook with this message for all to read. He took it from this Website. The problem is that Mitchell Lagassa aka Michel Lagacé and Delia were not marriedin 1837. 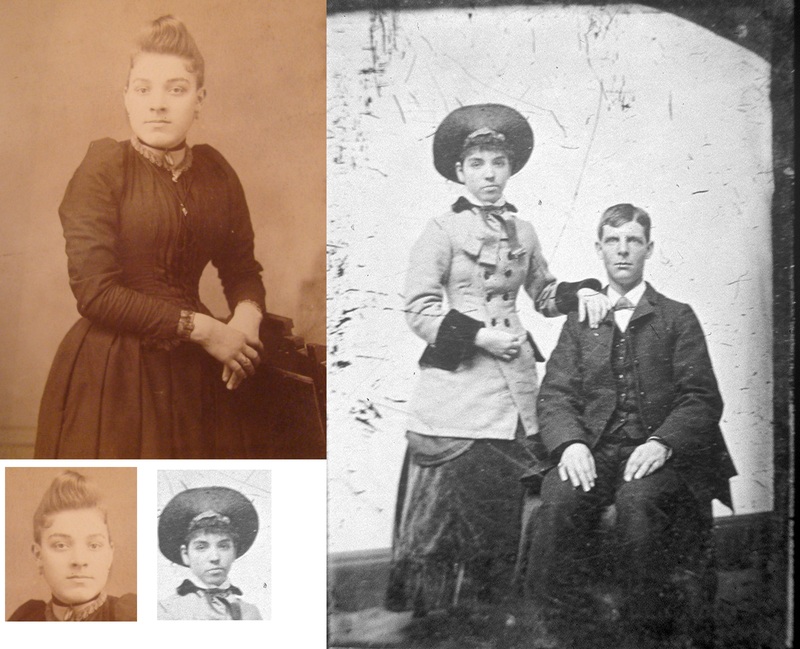 They got married in 1840 and they were not living in Michigan. Dan told this to the people managing the museum. I guess we don’t have to write the museum organizer again about all the research we have done on that branch of Lagacés. 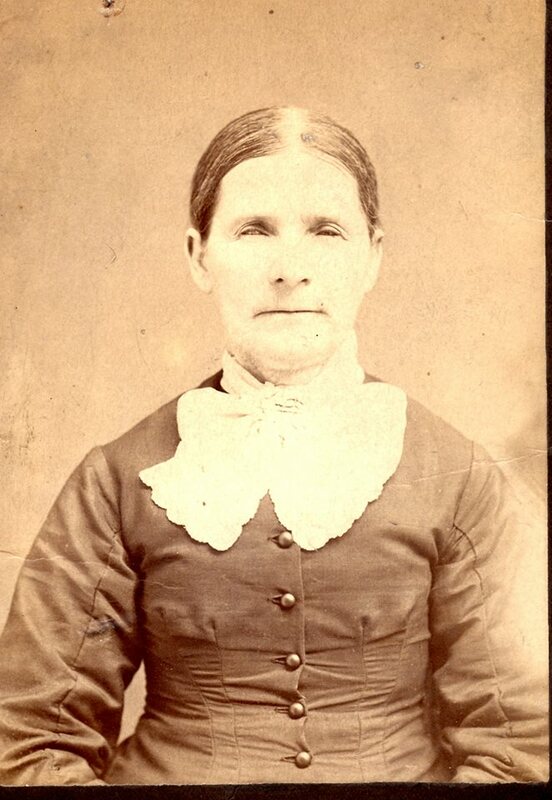 I would really wish if someone could send me a picture of Henriette Alexandre, my great-grandmother. I know this is not her. 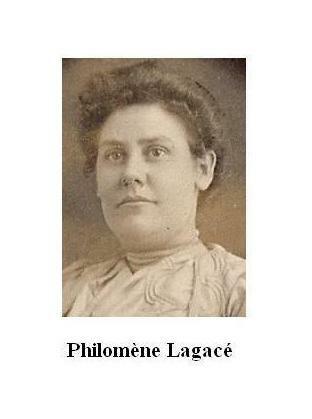 She is Delia Roch or Roche, Grandpa Lagasa’s mother. That’s what is written on the back. Grandpa would be John Benjamin LaGasa seen here with his brother Mitchell. Koeni has resurfaced on Facebook. I thought I had scared him away with all my posts about his ancestors. Ok. I have been missing a lot of info. Sorry I have been busy lately. I guess I have to take a trip back east to see this cabin now. My cousin Joe sent me this… with this quote he always puts at the end. A young lady confidently walked around the room with a raised glass of water while leading a seminar and explaining stress management to her audience. Everyone knew she was going to ask the ultimate question, ‘Half empty or half full?’ She fooled them all. “How heavy is this glass of water?” she inquired with a smile. Answers called out ranged from 8 oz. to 20 oz. She replied, “The absolute weight doesn’t matter. It depends on how long I hold it. If I hold it for a minute, that’s not a problem. So, as early in the evening as you can, put all your burdens down. Don’t carry them through the evening and into the night. Pick them up again tomorrow if you must. Bob Barrette had that information on his family tree about Arthur LaGasa’s son. Station: Platoon Leaders Unit, 13th Reserve District, Mb, Psnyd, Bremerton, Wash.
James Arthur LaGasa, 15 years-old, was living with his father in Cordova, Alaska, in 1940. November 11th, 1939 according to this document. He was with his father in 1938 when the Polar Bear had problems. James Arthur LaGasa became a U.S. Marine in 1942. We have no picture nor stories to share. J. A. LaGasa died at the age of 42 in 1966, the same year as his father Captain Arthur J. LaGasa, leaving no descendants to remember him.